No-one could have guessed that these footy players, after a long and gruelling season, wanted to enjoy themselves with a number of beers on the first Monday they’ve had off in almost a year. No-one but these brave journalists, who caught them right in the thick of the act. 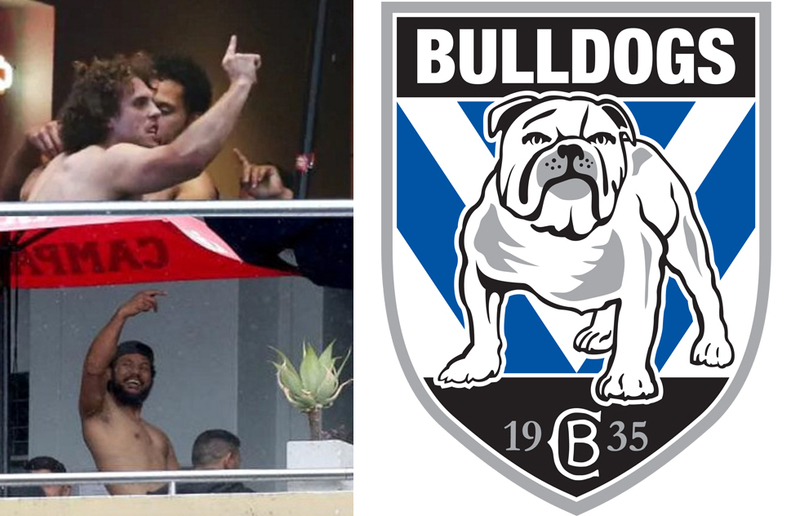 But they have done more than just catch Bulldogs players enjoying themselves. In a genuine masterstroke, they have also gone and caught the Pope in the act of Being Catholic. You heard us. Pope Francis, a papal icon and head of the Catholic Church, has been captured blessing youth, watching over the sacraments, praying, and broadly doing very Catholic things. Thankfully, a pack of noble journalists were there to catch him in the act. Good from you, sneaky Francis. But the Telegraph is always a step ahead. You can’t out-think them. You can run, but you can’t hide. It’s a relief to know that this important work is being done. Because, at the end of the day, who honestly cares about misconduct by the banks, or the escalating cost of living, or the revolving door of Prime Minister-ships, or the fact that James Blunt sings ‘My life is brilliant’ and then doesn’t sing for another ten seconds at the start of ‘You’re Beautiful,’ which really throws you off, or immigration? I know I don’t care about that. The most important thing will always be whether or not NRL players are drinking alcohol.